I was recently in New York for Fashion week and obviously had to hit up some good food while I was out there for my blog. 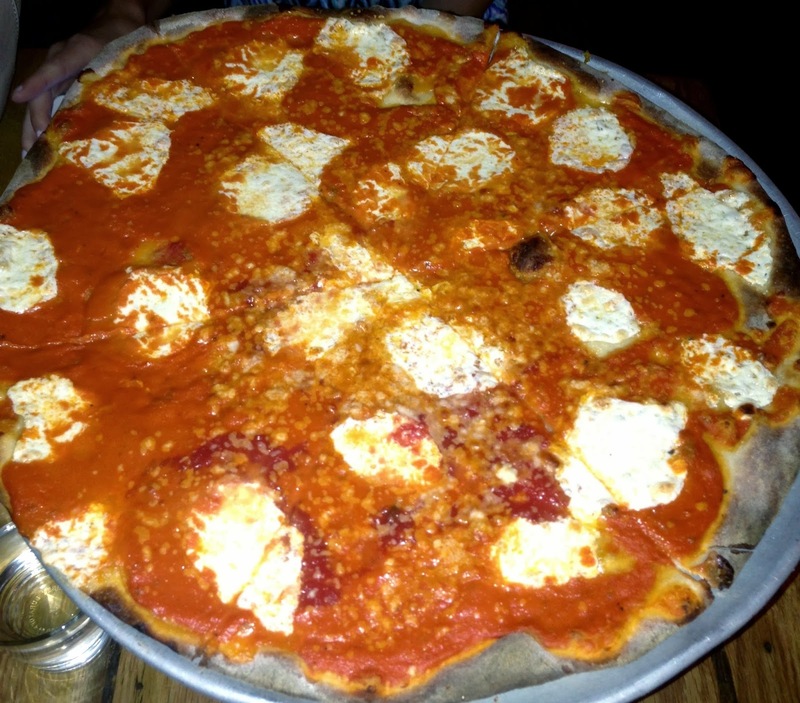 On my lunch break my friend and I decided to head to the heart of Nolita to the Italian eatery Rubirosa. My friend was craving good Italian food and I was recommended to go to this place so we decided to give it a try. It was perfect. We had such a great lunch! This wasn’t on the regular menu, it was a special for that day. Our server recommended it and said it was a really good pasta. It was! It was a lighter version of your typical take on fettuccine Alfredo- the sauce wasn’t as creamy as your traditional Alfredo sauce, and the pasta had lots of vegetables in it so it tasted healthier and not as heavy. It still had great flavor and the pasta melted in your mouth. You could tell by the texture that it was all fresh, handmade noodles. I LOVED this pizza. Thin pizza is my favorite, and this pizza was as thin as it gets. The vodka sauce was amazing and made it different than your traditional mozzarella cheese pizza. There is just something about the bread in NY, it’s better than anywhere else. I put a little oregano, some crushed red pepper and each bite was perfection. So delicious! On Set for Fashion Police in NYC for Fashion Week!